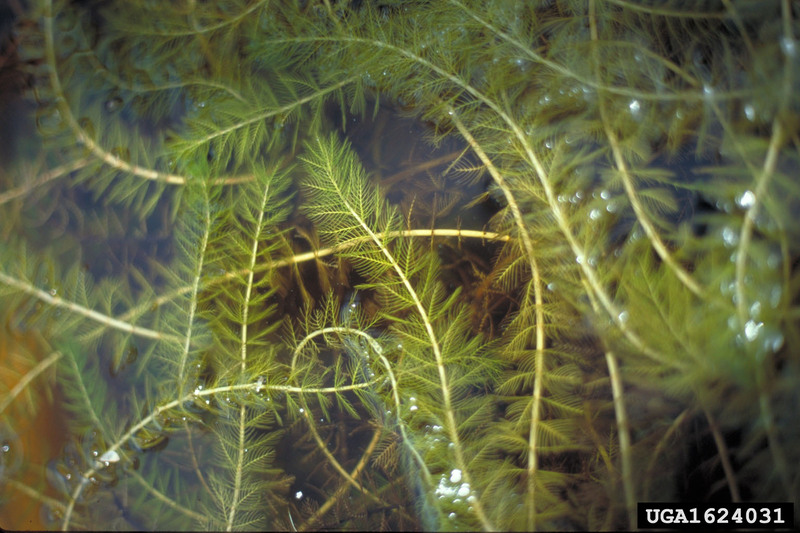 Eurasian watermilfoil, the type of milfoil found in Lake Cadillac, is an olive-green, underwater plant characterized by its feathery foliage. The plant's leaves are less than two inches long that are arranged in groups of four around the stem. Each milfoil stem can grow to be up to twenty feet in length, and the leaf groups are approximately half an inch apart from one another along the stem. As the stems grow and intertwine with one another, milfoil forms a dense mat of vegetation on the surface of the water, which presents a problem for boating, fishing, swimming, and other aquatic recreation. Milfoil is also problematic because it can choke out native plants by blocking sunlight and preventing oxygen from reaching the lake bottom. Milfoil reproduces via fragmentation, typically during the late summer and fall seasons. The plants become brittle, break apart, and the fragments are carried to other areas of the lake where they sink to the bottom and become new plants themselves. Even a tiny fragment of a milfoil plant can grow to become a new plant. This is why one of the most common ways for milfoil to spread from one body of water to another occurs when milfoil fragments are carried by unwitting boaters. Milfoil reproduces very rapidly and can quickly "take over" an entire lake if left unchecked. How is Cadillac addressing the milfoil issue in Lake Cadillac? Since 2006, the City of Cadillac has administered a milfoil management program on Lake Cadillac. In 2010, voters approved a three-year citywide millage to fund the program, which is designed to help improve recreational use in the lake while preserving the fragile balance that is required to keep the lake healthy. Milfoil management activities in Lake Cadillac are coordinated under the direction of the City's environmental consultant. Beginning in spring and continuing through summer, biologists survey the lake to identify specific locations where milfoil is growing. Problem areas within the lake are accurately determined by using a global positioning system (GPS). Once milfoil locations are identified, a detailed map of those locations is provided to the milfoil control contractor. Locations with milfoil growth are treated with a granular herbicide that is selective, meaning it targets milfoil. At the normal application rates, impacts to most other aquatic plant species are minimal. This is important because excessive removal of aquatic plants can have negative consequences. 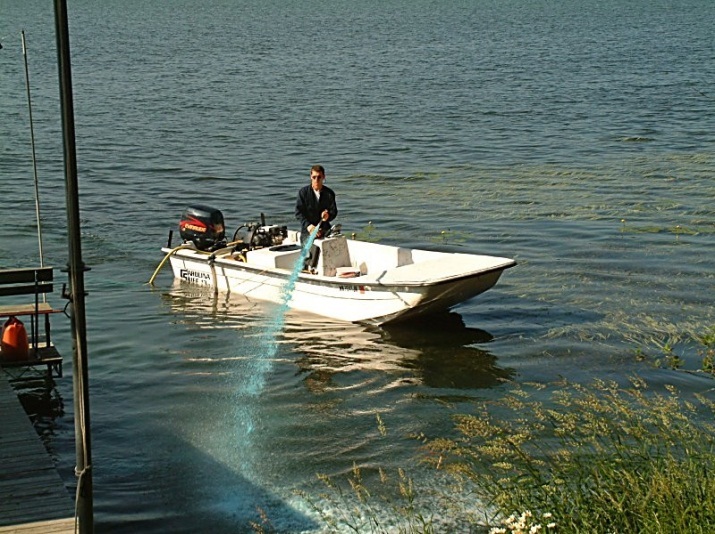 For example, broad-spectrum herbicide treatments can result in algae blooms and reduced water clarity which, in turn, can be detrimental to the fishery. Maintaining a diversity of beneficial plants is as important as controlling milfoil.